Narcisse, is running for governor on the Iowa Party ticket and has been a long time observer and critic of Iowa’s education system. He has called for the end of over $500 million of annual funding for public school students that do not exist. While on the Des Moines School Board, he exposed the lack of transparency and accuracy in drop out and graduation statistical reporting. And, his “Restoring Iowa’s World Class Education System” white-paper includes a state education funding mechanism that follows the teacher and empowers families to take responsibility for their children’s futures. Click here to download white paper. Less than two years after this call to action, Jason Glass left his position as Education Director to be a superintendent of schools in Colorado. “Jason Glass told the truth and he was shown the door for his honesty,” says Narcisse. “No education chief leaves the state that has the school house on it’s quarter to be a superintendent by choice,” says Narcissse. Des Moines, IA – The nation’s students took significant strides on the National Assessment of Educational Progress, while Iowa’s results show a continued pattern of stagnation, Iowa Department of Education Director Jason Glass said today. NAEP, known as the nation’s report card, is the only state-by-state comparison of student progress. Assessments are administered to a sampling of students periodically in mathematics, reading, science, writing, the arts, civics, economics, geography and U.S. history. Today’s NAEP results cover mathematics and reading for grades 4 and 8. The nation’s results show substantial gains in those key measures from 2009 to 2011. The long-term trend for Iowa shows a troubling pattern of students falling to the middle of the pack across the board, from disadvantaged and minority students to white, relatively affluent students, since the early 1990s. White students, who make up about 80 percent of Iowa’s student population, have fallen behind their white peers nationally. This problem persists across the assessed grade levels and content areas. 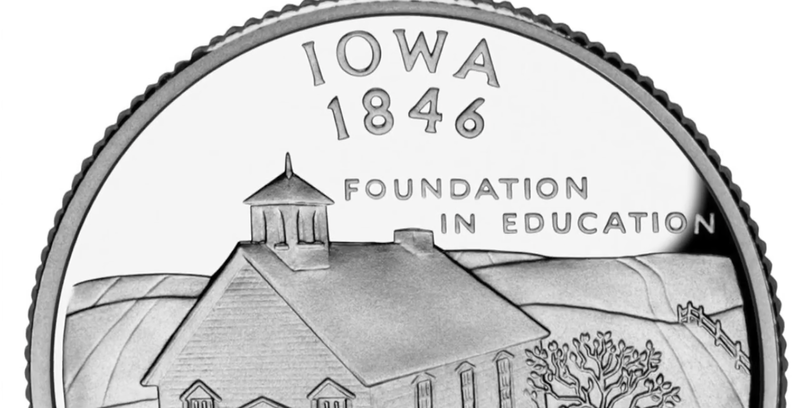 · Iowa’s average score in fourth-grade reading (221) is lower than the state’s score in 1992 (225) and is unchanged from the state’s score in 2009 (221). · Iowa has posted a two-point gain in eighth-grade mathematics since 1992, the smallest increase in the country. The largest gains have been made in North Carolina (28 points) and in Texas and Massachusetts (26 points). 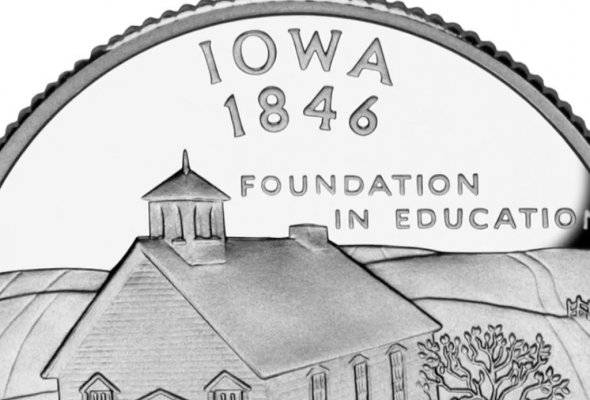 · Iowa’s white students rank in the bottom 10 percent of states and jurisdictions nationally in eighth-grade reading and in the bottom 25 percent in fourth-grade reading, fourth-grade math and eighth-grade math. · The gap in achievement between students in Iowa with and without disabilities is among the worst in the nation. The 2011 NAEP results represent a call to action. On Oct. 3, the Branstad-Reynolds administration and Director Glass introduced a bold set of reforms to improve Iowa’s education system. The education blueprint focused on great teachers and leaders, high expectations for students with fair measures, and rekindling a spirit of innovation in schools. Assessments on NAEP are administered to about 3,000 students in 100 schools in Iowa and other states for each grade and subject – a large enough sample to draw valid inferences about Iowa’s population in comparison to other states. NAEP 2011 results can be found at http://nces.ed.gov/nationsreportcard/.